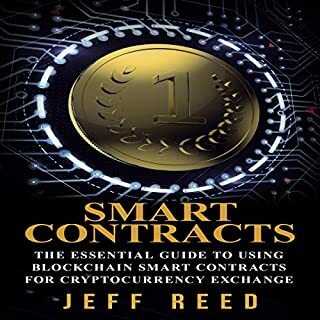 In this book, Jeff Reed explains the fundamentals of smart contracts and how they work. The practical uses of smart contracts are enumerated in this book and you will also learn how you can make your own smart contracts in the Ethereum system. You will also get tips on how you can make your smart contacts easy to understand and user-friendly. This book also covers some of the myths surrounding smart contracts and the reasons why they exist. 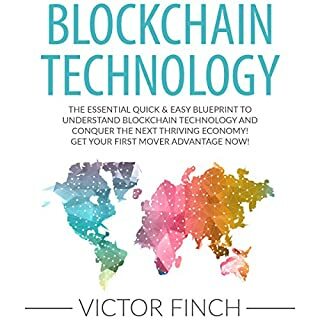 The Essential Quick & Easy Blueprint to Understand Blockchain Technology and Conquer the Next Thriving Economy! Don't you want to ride and conquer the next thriving economy? Imagine you are been presented with an opportunity before the flourishing of Internet, what would you do? Now is the time! Discover everything you need to know about blockchain and how to get your first mover advantage now. Discover how to easily create and profit from smart contracts. In the future, items at the grocery store will be tagged so that a charge is automatically deducted from your checking account. Walking out of the store, your watch will register your blood alcohol level being way over the limit - then call you a cab if you can't drive. This isn't science fiction - it is the future brought to you by smart contracts. Get the equivalent of a college education in financial technology with this amazing bundle! I've bundled together four of my best-selling books to give you the complete education in financial technology. When you purchase this bundle you'll receive Blockchain, FinTech, Investing in Ethereum, and Smart Contracts - all at an amazingly low price! 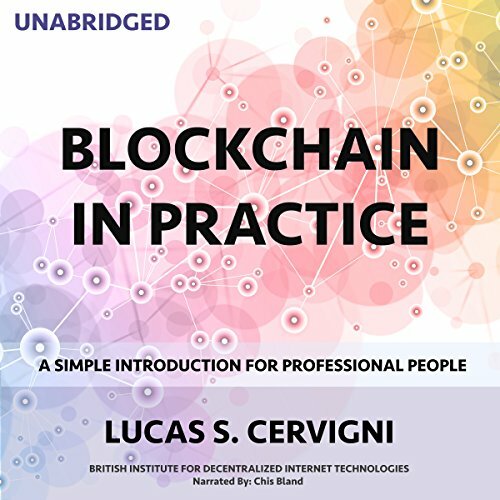 If you've ever heard the word blockchain and have wondered to yourself what it is and how it works, or you've been seeing it pop up everywhere you go, from co-workers to articles to the news, then this book is for you. Download it now to learn about the exciting and innovative technology behind the renowned online currency system. Learn what you need to know about investing in Ethereum! 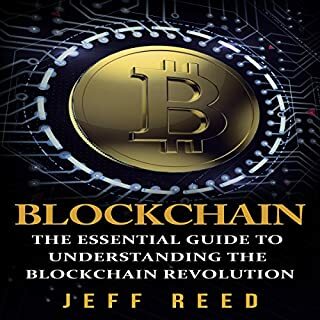 In this book, Jeff Reed explains the reasons to invest in Ethereum and not just because of the potential ROI, but also the benefits of cryptocurrencies in themselves. The overall risks, obstacles, and major changes in Ethereum will also be addressed. Just as the steam engine and the railroads were the cog of the Industrial Revolution, blockchain is the cog in the next Internet revolution and that time is now! Be part of the next advancement of technology that's not mainstream yet. The blockchain revolution is here! Learn everything you need to know about blockchain and how you can get involve in the next digital ecosystem. Thankful I took this book! Only second to Bitcoin in terms of transaction volume as a digital currency, Ethereum is the fastest growing cryptocurrency, with people learning more of its use as not only a blockchain, but a potential digital asset that can be used as an investment. 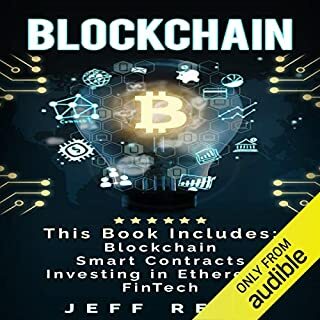 This audiobook will teach you everything you need to know about Ethereum, and will get you up to date on the latest uses and benefits of the blockchain. You've probably heard of bitcoin, probably as a means of payment for shady business deals. Bitcoin is about to get a lot more legit as the ways of ensuring cyber security and trust become more and more evolved. 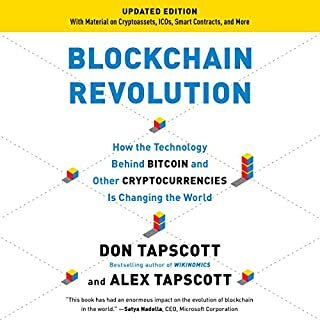 Alex Tapscott, author of Blockchain Revolution, joins us to talk about this emerging technology that's about to be adapted to all aspects of our online lives. Professionals from academia, business, the law, accountancy and administration all need to understand the basics of blockchain - what it is, how it works, and how it will change our lives. Written by leading expert Lucas Cervigni, this is the first accessible but intelligent guide for professional people. 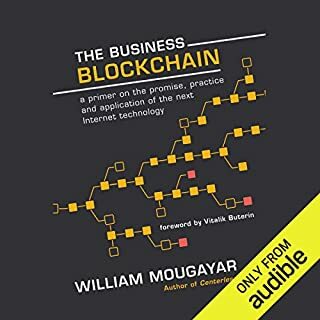 The book strikes a balance between a technical perspective of blockchain and the real life encounters that many of us will (or already do) have with it. And by quoting some of the leading commentators and innovators, Cervigni offers a qualified view of the different forces that are driving the evolution of this revolutionary technology.